I did see that. Nice you were able to make it so small. Where are the buttons at? I see where the fire button is but what about the others? as far as screen placement it's going to be exactly like the dna 40 large screen. the zif connector is in the same spot as the 40's. looking for pinouts for dna60 charging board, anyone help? The pinouts on the main board are listed here so it should coincide with the charger board. I have a vaporshark rdna 40, would this board fit? welcome to the forum levivapes. 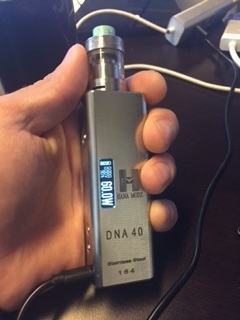 i plan on doing the same with my VS RDNA 40 mod. the board will fit inside with little to no modifications. however, There is one main concern that presents itself when transplanting the 60 into the rdna. the 60 is escribe capable, the 40 is not. if you want to be able to use escribe, you would need to connect the data pins of the 60 board "somehow" to existing female micro usb socket that is mounted on the VS daughter board. the daughter board has all of the regulatory buttons on it, the 2 amp charger, reverse battery buzzer and finally the QI wireless charging circuit. so it is doable but requires some rerouting and adding some charging and data lines. another option is to set the board up with all the profiles etc. that you want, before you install the board into the mod. then leave the 60's data pin outs open (not connected). 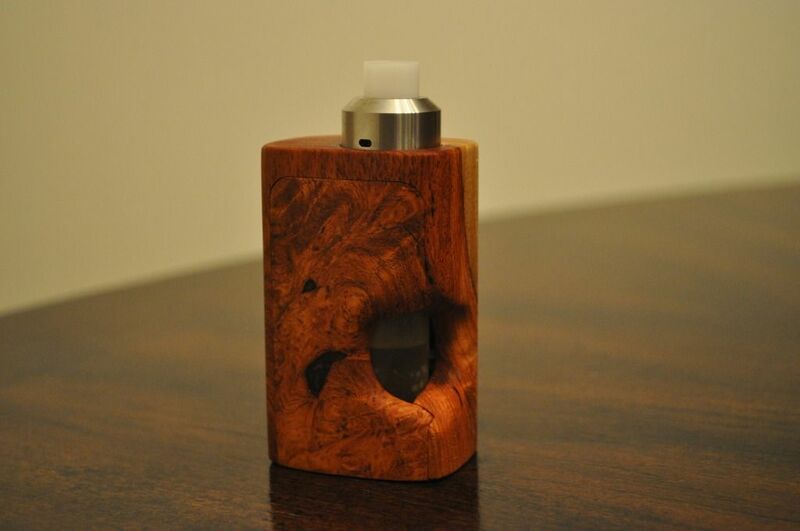 the mod won't be able to connect to escribe but will be already set up for any wires or profiles etc. this is my least favorite option (i will not do this option, i use escribe too much not to have it) but would be the easiest way. Thanks for the info, protovapor said someth8ng about a daughter board being an issue, could I just swap it out too? I got the vs for free because the wattage and temp just go down for no reason. No stuck buttons, must be a board issue, since I figure anything I do to make it work is worth it. the problem with ditching the daughter board is the regulatory buttons are soldered onto it (FIRE, UP and DOWN buttons). the daughter board runs from the bottom of the mod to the top with the dna board soldered to it around the middle. since it's already broken, take it apart and you'll see what i'm talking about. no interest in fixing the existing dnA 40 that's already inside? if you know for sure none of the buttons are stuck, the next likely suspect is flux residue shorting the dna 40 board external button pinouts. it happened to a dna 40 of mine. it had the symptom of a stuck DOWN button (flashing between 1 watt and the serial #)but the actual button was in perfect working order. i had to clean/scrape away the flux residue between the 2 DOWN button pinouts, works fine now. Just FYI - The USB Satellite board is the exact same width as the 60 (or 40 with the rails snipped off). I transplanted one already and it's running great. On this one, for example, I had to grind out the usb area to fit the USB in the case. So the USB size is definitely worth noting.